Science fiction may seem resolutely modern, but the genre could actually be considered hundreds of years old. There are the alien green "children of Woolpit", who appeared in 12th-century Suffolk and were reported to have spoken a language no one could understand. There's also the story of Eilmer the 11th-century monk, who constructed a pair of wings and flew from the top of Malmesbury Abbey. And there's the Voynich Manuscript, a 15th-century book written in an unknowable script, full of illustrations of otherworldly plants and surreal landscapes. The influence of the genre we call "fantasy", which often looks back to the medieval past in order to escape a techno-scientific future, means that the Middle Ages have rarely been associated with science fiction. But, as we have found, peering into the complex history of the genre, while also examining the scientific achievements of the medieval period, reveals that things are not quite what they seem. Science fiction is particularly troublesome when it comes to matters of classification and origin. Indeed, there remains no agreed-upon definition of the genre. A variety of commentators have located the beginnings of SF in the early-20th-century explosion of pulp magazines, and in the work of Hugo Gernsback (1884-1967), who proposed the term "scientifiction" when editing and publishing the first issue of Amazing Stories, in 1926. "By 'scientifiction'," Gernsback wrote, "I mean the Jules Verne, H G Wells and Edgar Allan Poe type of story – a charming romance intermingled with scientific fact and prophetic vision … Not only do these amazing tales make tremendously interesting reading – they are always instructive." But here Gernsback was already looking backwards in time to earlier writers to define SF. His "definition", too, was one that could also be applied to literary creations from much further into the past. Another longstanding idea is that the "science" in science fiction is key: SF can only begin, many historians of the genre proclaim, following the birth of modern science. The compass and gunpowder were developed and improved upon, and spectacles, the mechanical clock and blast furnace were invented. The period also laid the foundations for modern science through founding universities, advanced the scientific learning of the classical world, and helped focus natural philosophy on the physics of creation. The medieval science of "computus", for instance, was a complex measuring of time and space. 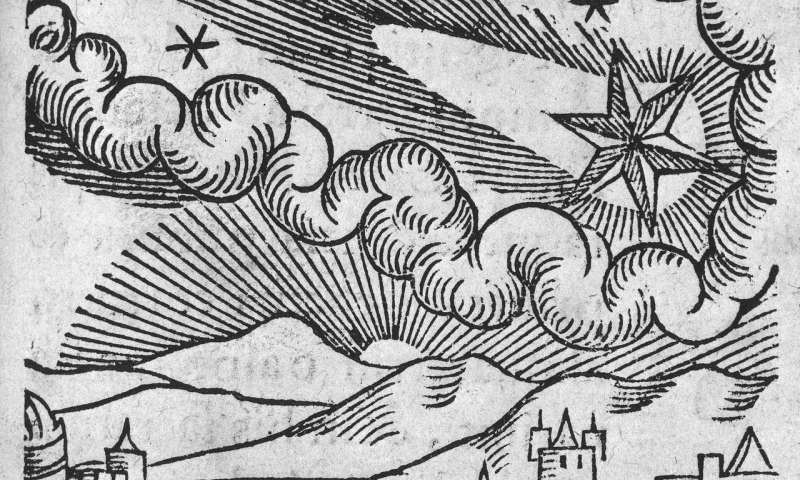 Like those of more modern science fictions, medieval writers tempered this sense of wonder with scepticism and rational inquiry. Geoffrey Chaucer describes the procedures and instruments of alchemy (an early form of chemistry) in such precise terms that it is tempting to think that the author must have had some experience of the practice. Yet his Canon's Yeoman's Tale also displays a lively distrust of fraudulent alchemists, sending up their pseudo-science while imagining and dramatising its harmful effects in the world. Modern science fiction has dreamt up many worlds based on the Middle Ages, using it as a place to be revisited, as a space beyond earth, or as an alternate or future history. The representation of the medieval past is not always simplistic, nor always confined to "back then". William M Miller's immensely detailed medieval future in A Canticle of Leibowitz (1959), for instance, dwells on the way the past consistently reemerges in the fragments, materials and conflicts of a distant future. Connie Willis's Doomsday Book (1992), meanwhile, follows a time-travelling researcher of the near-future back to a medieval Oxford in the grip of the Black Death. 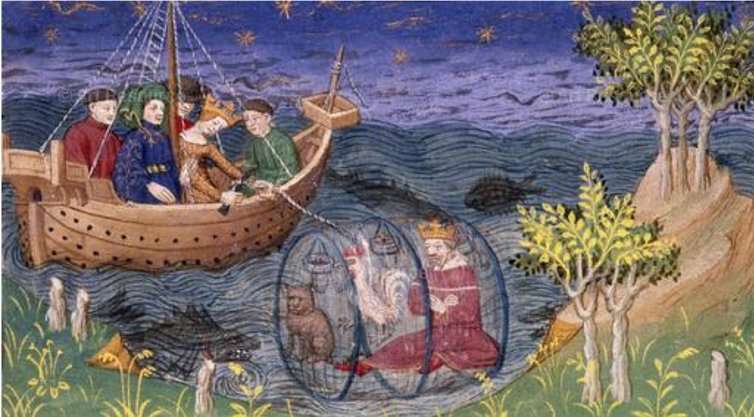 Although "medieval science fiction" may sound like an impossible fantasy, it's a concept that can encourage us to ask new questions about an often-overlooked period of literary and scientific history. Who knows? The many wonders, cosmologies and technologies of the Middle Ages may have an important part to play in a future yet to come. Once again, the hoary old "justification" for the literature, that it has always been with us. At best, stories with science fictional elements can be referred to as "proto science fiction", but they are not and can not be "science fiction", for the very simple reason that the genre was not created and defined until 1926. What can be said about works predating that event is that there are many that have some of the elements required for a science fiction tale, but not all of them; (Gary Westfahl covers this in great detail in his scholarly work The Mechanics of Wonder: The Creation of the Idea of Science Fiction. I picked up H.P. Lovecraft's stories a couple months ago (read a lot of the derivative Cthulhu works by others during my school years, but never the original) - and that is a quite interesting read as science fiction goes (well..."sci-fi horror" is probably what it was at the time). Still holds up quite well in some regards. I know it's not your article originally, but it's Walter M. Miller, not William. The title is A Canticle FOR Leibowitz, not OF.